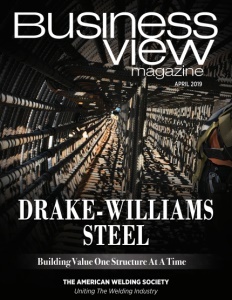 Business View Magazine interviews Derrick Fitton of Drake-Williams Steel Inc., as part of our focus on best practices in the construction sector. In 1893, a boiler maker named George Drake bought into Wilson’s company, followed in 1897 by Hugh Williams. The company was renamed Drake-Wilson & Williams, which soon became the Drake-Williams-Mount Company in 1901, after George Drake died and Ernst O. Mount came onboard to help capitalize the business, allowing it to purchase land at 23rd & Hickory Streets for a new facility, which, to this day, houses the company’s Rebar Division and corporate office. In 1913, Hugh Williams’ two sons, Art and Walt joined the business, manufacturing steam boilers, tanks, smokestacks, and breechings, which are the small segments of metal ductwork that connect a boiler to the stack. During the 1920s, at the request of a customer, the company started making dragline buckets. A dragline excavator is a piece of heavy equipment used in civil engineering and surface mining. A dragline bucket is a large steel bucket which is suspended from the excavator’s boom with wire ropes, and maneuvered by means of a number of ropes and chains. In a typical cycle of excavation, the bucket is positioned above the material to be excavated and, then, lowered. Then, the dragrope is drawn so that the bucket is dragged along the surface of the material. The new product line, named “Omaha Buckets,” helped the company survive the Great Depression and through World War II. After Hugh Williams died in 1931, Art and Walt ran the business. When Walt retired in 1955, Art became sole President. 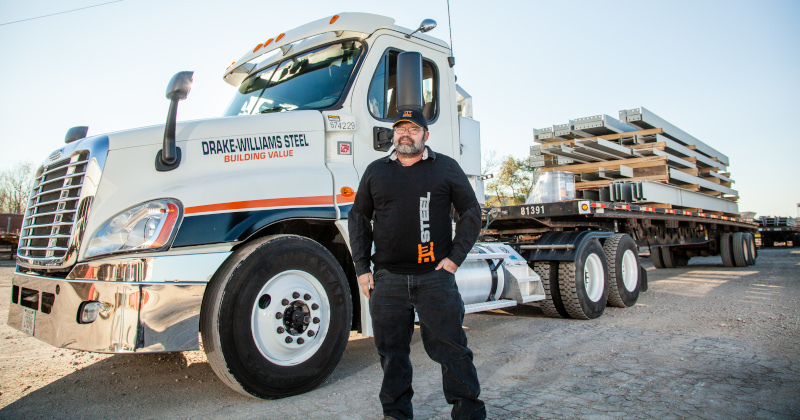 The company name changed its name again, this time to Drake-Williams Steel, and the firm shifted its focus to the fabrication of structural steel and supplying other steel products. Art’s two sons, Hugh II and Mike, joined the business in the late 1950s, and took it over when Art retired in 1964. Hugh’s two sons, John and Dave, became the fourth generation to join the company in the late ‘70s, and by the mid-‘80s the pair had added the Rebar Division. In the early 1990s, and just before they retired, Hugh and Mike bought the facilities at 1602 North 11th Street, which became, and still is, the company’s largest structural steel fabrication plant. John and Dave bought the firm and spent the next several years renovating and adding to the fabrication facility, making it into a world-class operation. The company acquired the Mountain Steel & Supply Co. of Denver, Colorado, which, in 2011, became the Mountain Steel Division of Drake-Williams Steel, another structural steel fabrication facility. 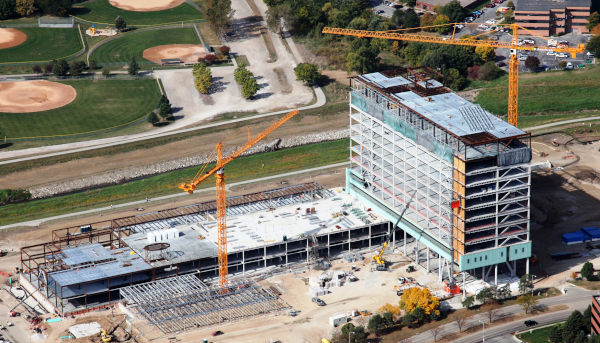 Today, the 240 workers of the Employee-Owned Drake-Williams Steel, Inc. provide fabricated, structural and concrete reinforcing steel for all types of projects, including commercial, industrial, healthcare, and institutional structures. In addition, the company offers steel distribution, processing, and light fabrication services. Fitton reports that the company already has enough capacity in its existing facilities, so rather than adding any more, its current agenda includes fine-tuning its operations, growing its manpower count, and continuing to look at the latest technology, such as robotic welding and robotic processing equipment, as it makes its capital expenditures. “So, we’re focused on trying to capitalize on the people that we have and a culture of continuous improvement that we want to drive home,” Fitton avers. “We want to utilize those resources to make us a more efficient and productive fabricator. Check out this handpicked feature on the Allstate Steel Company. Associates, clients and communities are at the center of everything Lockton does. Since joining the Omaha community in 2011, our focus on service and strategic consulting has grown our office from seven Associates to over 50. As the world’s largest privately-owned, independent insurance broker, Lockton specializes in risk management, employee benefits and retirement services.